Distell reports robust growth of its bag-in-box wines as SA consumers adapt to challenging economic times…. ACCORDING TO The Drinks Business, leading online retailer, Amazon UK saw a robust 212% growth in bag-in-box wine sales for 2017 year as consumers in the UK are embraced this global trend – one that has been compared to the cork-to-screw-cap movement, which lead to screw caps being accepted worldwide as a good quality, convenient packaging option for wine. South African consumers, says Distell, are becoming aware of the benefits of boxed wine and following the trend, leading to an increase in local boxed wine sales. “We’ve seen a significant 34% growth in sales for the Drostdy Hof three-litre bag-in-box wine compared to the previous financial year,” says Frans Booysen, marketing manager of Accessible Wines at Distell. “Another factor contributing to the recent growth in sales and popularity of boxed wine could be the versatility of the product, especially when used for social occasions,” comments Booysen. 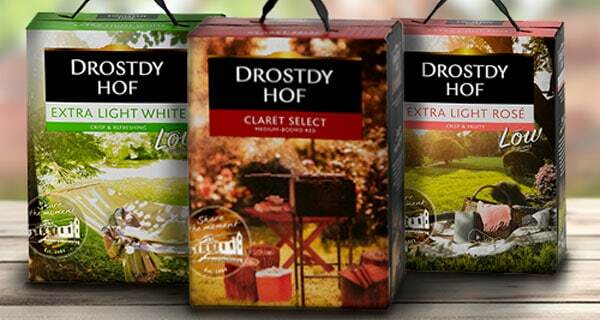 “With a fresh, updated packaging design for Drostdy Hof’s range of wines, which invites consumers to “share the moment”, consumers can enjoy the same great taste, flavour and quality in the Drostdy Hof boxed wine range as the bottled range,” he adds.